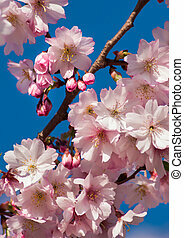 Cherry blossom tree. 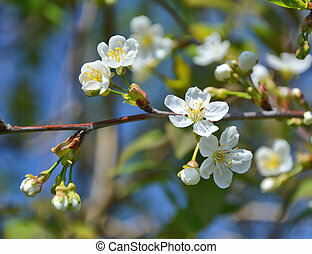 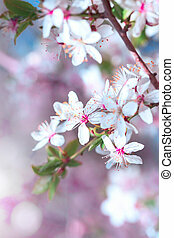 Mini cherry blossom flowers on tree branches in spring. 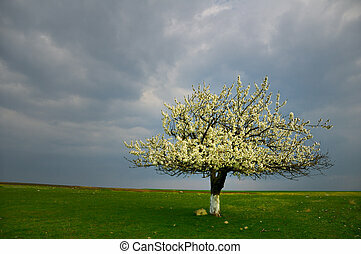 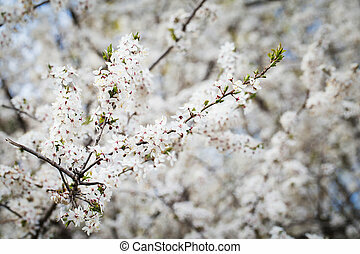 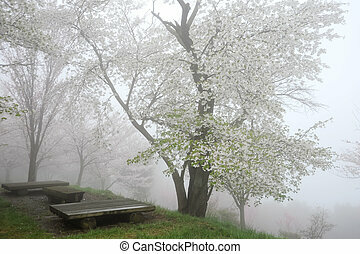 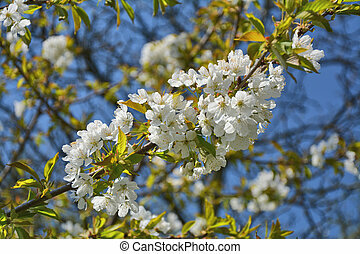 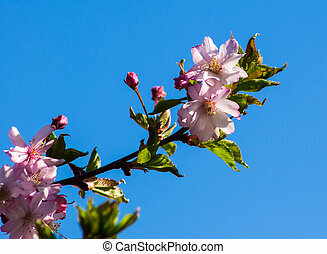 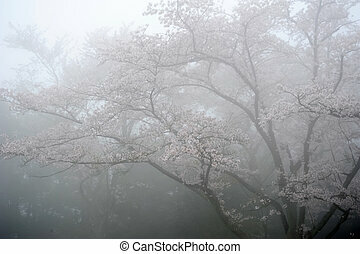 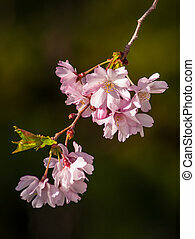 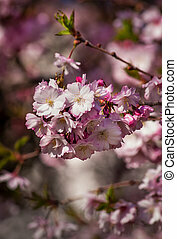 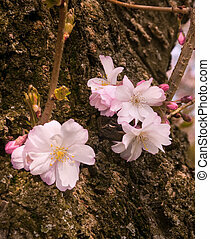 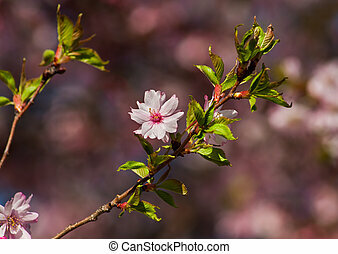 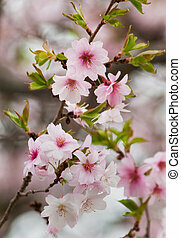 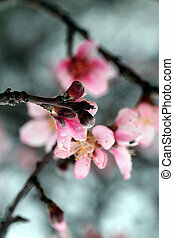 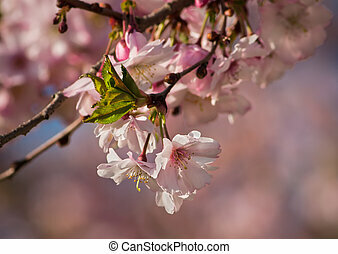 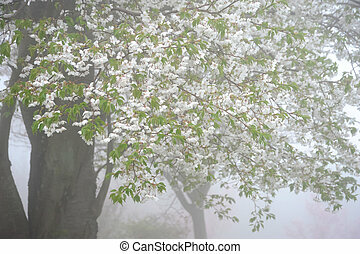 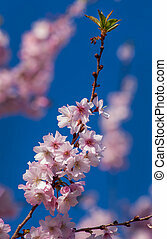 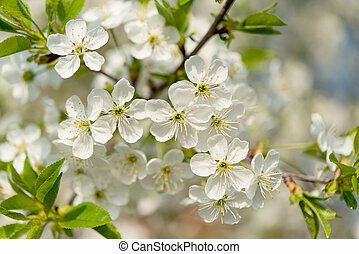 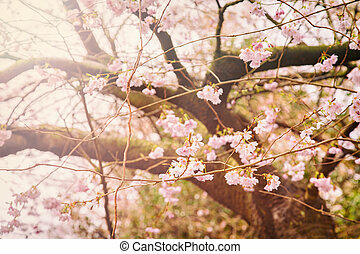 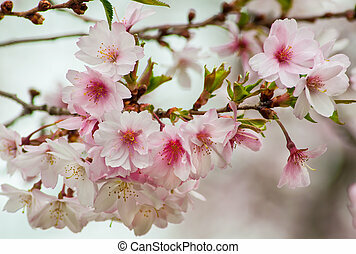 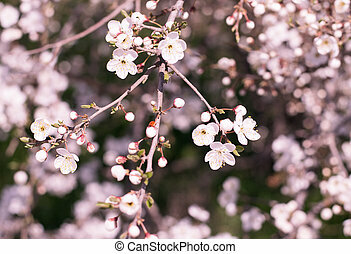 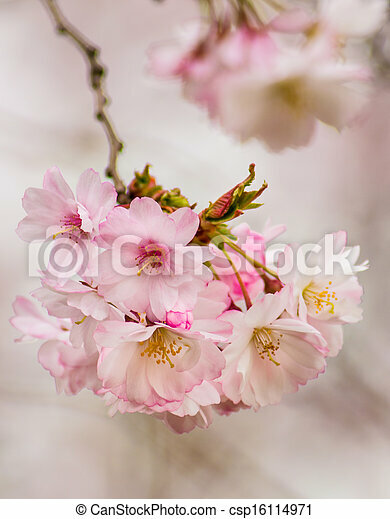 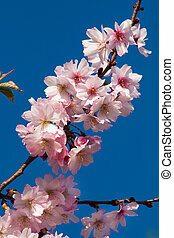 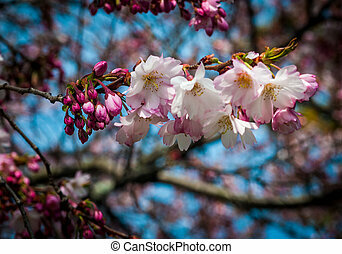 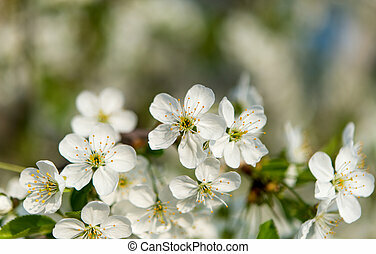 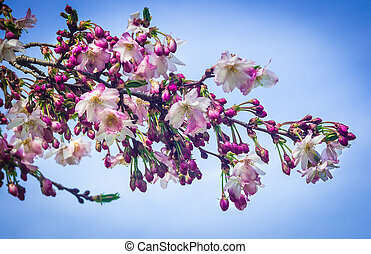 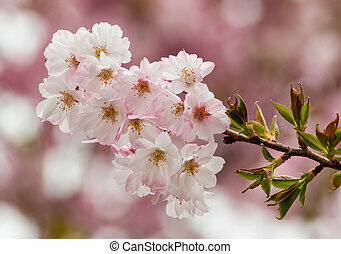 Image of a flowering cherry blossom tree. 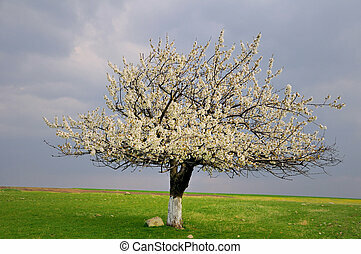 Cherry blossom tree. 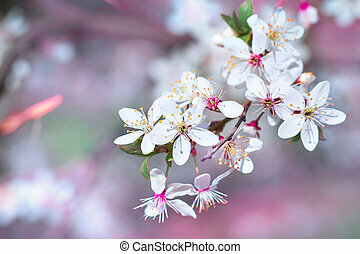 Spring time. 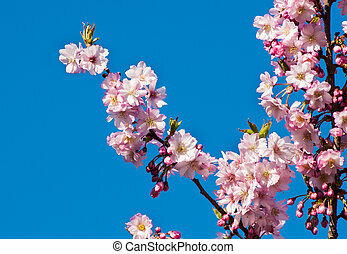 Pink colored.